1. Brandy Colbert – I read Pointe back in May and fell completely in love with Brandy’s writing style. Pointe itself is a really good, albeit creepy, story and she just made it that much more amazing and creepy. I really hope she writes more, I will read it all. 2. Maria V. Snyder – I’m currently on the last book of the Study Series and now I can’t imagine not loving everything Maria writes. It’s all SO good. 3. I had heard of Rainbow Rowell before, but I didn’t read any of her books until this year. I started with Fangirl and it was really cute! 4. For years, I’ve been hearing about Stephanie Perkins and her all-around amazingness but I finally read one of her books, Anna and the French Kiss, this year and I wondered why I had waited so long! It was lighthearted and funny, slightly predictable though. I can’t wait to read her other books! 5. I am a big Pretty Little Liars fan, and when I found out that they were based on books, I had to read them. I tried to start with the first, but I just couldn’t get through it and set it aside for a long while. This year though, Sara Shepard (the author of the Pretty Little Liars series) came out with a new book! 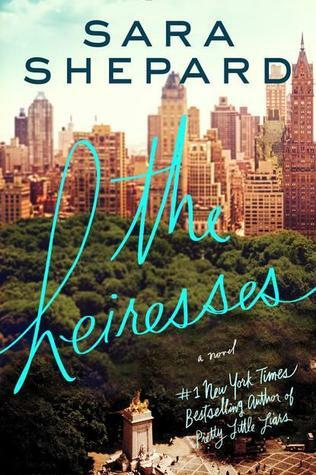 The Heiresses was SO much better than the PLL book I never finished and I’m so glad I gave her another shot. Technically, she wasn’t new to me since I tried her previous series, but it still counts because I never actually finished a book of hers until this year. 6. 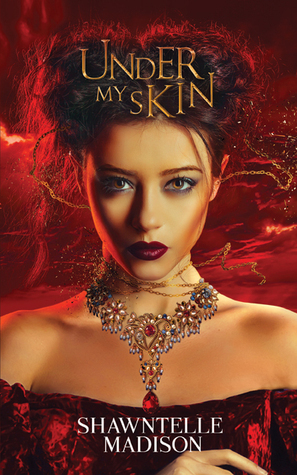 Shawntelle Madison – I had never heard of Madison until I stumbled across Under My Skin on Net Galley. I absolutely loved it! She has another series that I’m excited to try. 7. Sherry Thomas – I spotted The Burning Sky at Barnes and Noble and fell in love with the cover—I know you shouldn’t choose your books based on their covers, but the jacket description sounded good, too 🙂 So happy! I might even consider reading her historical romance novels, if the mood strikes. 8. Liane Moriarty – I really enjoyed Little Big Lies, and can’t wait to try out some of her other books. 9. Sarah J. Maas – I picked up the first Throne of Glass book in February and read the rest in the same week! Very, very excited for her 2015 releases. 10. Elizabeth Vaughan – I can’t remember which book made Warprize pop up as a recommendation on Goodreads, but I’m glad it did. I loved the Warprize series, but wasn’t as thrilled when I branched out to Vaughan’s other series.